Download the DLC packages that you want to include. The map packages that I have included are all the maps that I have from Project Mimesis V3 that I found on my Xbox. 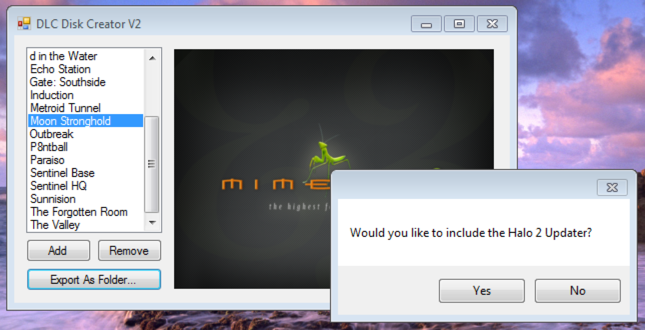 The file type that the application uses is RXC. RXC is a Zip file with a different file extension, but to avoid confusion of files, changing it seemed like a good solution. 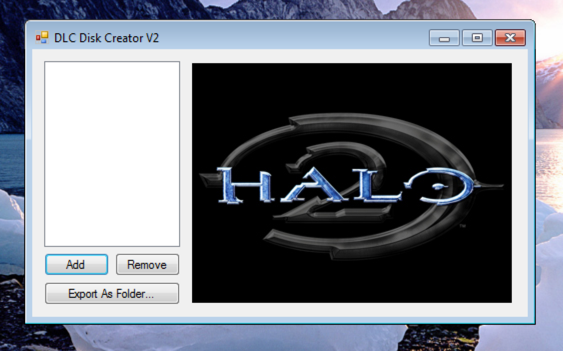 1) Open Halo 2 DLC Disk Creator V2. 3) When you have your complete list, select "Export As Folder...", create a new directory and select it. 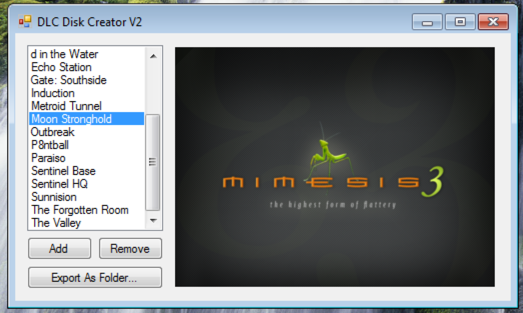 You will be prompted to include the Halo 2 updater; if your Halo 2 isn't above version 1.0 you'll need the updater. 4) To install the maps to the Xbox, you can either burn the newly created DLC folder to a disk, or transfer the folder as an app to your Xbox. It's really up to you. Once you run it on your Xbox you'll see your list of maps with an update/install option. Install all the maps you want to have on your HDD. And that's it! When you go on to Halo 2 you should have all of your selected DLC. 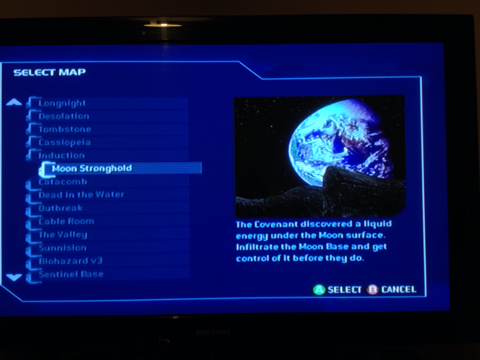 If you don't see your maps on Halo 2, you may need to update to V1.5. I will be writing up a tutorial soon about how to create new DLC with your own maps. 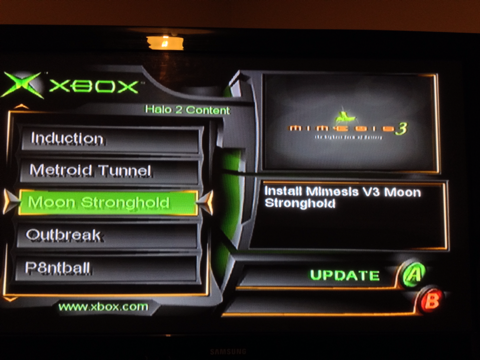 Until then I hope you will all enjoy being able to use Mimesis maps on a vanilla copy of Halo 2. Edited by Stolen Ruby, 24 June 2015 - 07:04 AM. The link should be fixed now (hopefully). Edited by Dominater01, 22 October 2018 - 01:21 AM.